Planning for economic development while also protecting sensitive ecology can be challenging. 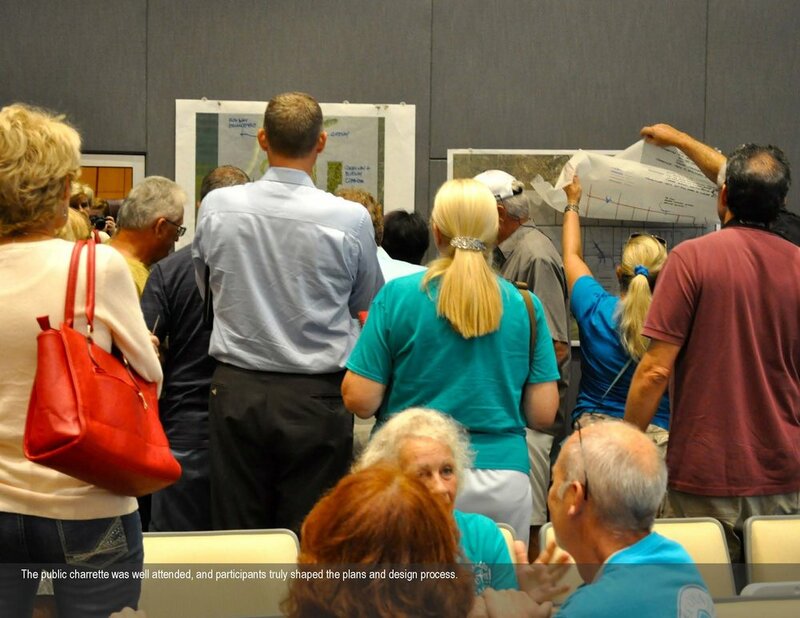 The City of Cape Coral, in Florida, recognized that existing environmental challenges in the Northwest Cape area, combined with looming development opportunities, required a plan for future growth that benefits both. 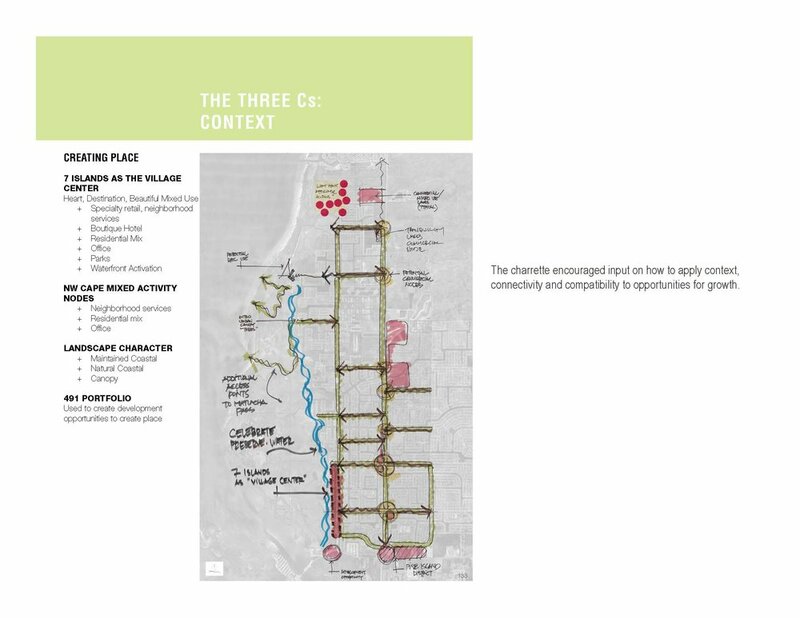 Recently, that plan received a prestigious Award of Excellence in the Planning and Analysis category from the Florida Chapter of the American Society of Landscape Architects. 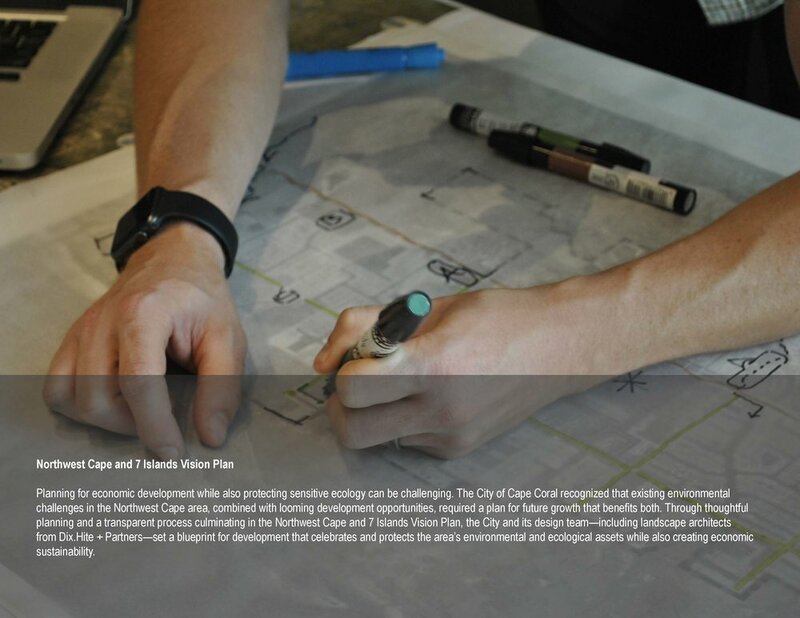 Through thoughtful planning and a transparent process culminating in the Northwest Cape and 7 Islands Vision Plan, the City and its design team—including landscape architects from Dix.Hite + Partners, as well as partners CPH, Tara Salmieri, and Greg Stuart & Associates— set a blueprint for development that celebrates and protects the area’s environmental and ecological assets while also creating economic sustainability. Learn more about the process and the resulting plan in the following images.